INVICTA KENT MEDIA: PICS SHOWS;HOUSE BELONGING TO PEACHES GELDORF HIGHWOOD IN WROTHAM KENT. Police search team and Forensic team enter and search the grounds and the inside of the house with a Sniffer Dog and take away there findings. PICS SHOWS;HOUSE BELONGING TO PEACHES GELDORF HIGHWOOD IN WROTHAM KENT. 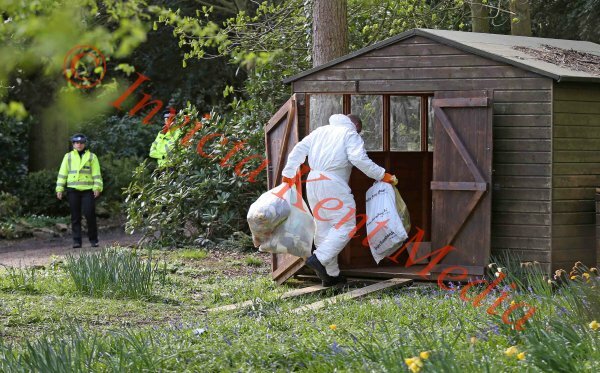 Police search team and Forensic team enter and search the grounds and the inside of the house with a Sniffer Dog and take away there findings.